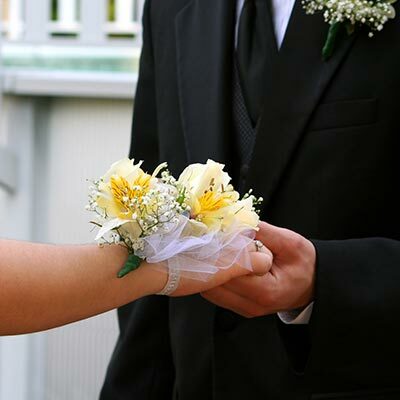 Two of the great rites of passage in high school are the Prom and Homecoming dances. What better way to commemorate the occasion than by having a chauffeured stretch limousine? Whether it’s for two high school sweethearts, or a group of friends, a chauffeured stretch limousine will make the evening epic and unforgettable. From a pick up at home, to dinner and the dance (with a stop for a photo session at a scenic locale), having a professionally chauffeured vehicle makes for an impressive statement. Safety is always top of mind when thinking about your children and West Suburban Limousine has more than fifty years of experience dealing with school-sponsored events. All our chauffeurs are fully vetted, with criminal background checks, drug tests and proper documentation to operate commercial vehicles. Each driver has undergone on-the-road training and classroom sessions on defensive driving and customer service. And each vehicle undergoes quarterly safety inspections through the State of Illinois and our internal audit system. Plus, each car carries $1.5 million in insurance. As an extra measure of caution: parents are required to sign a consent form and children must sign a form establishing the expectations for behavior during the trip. West Suburban Limousine has a ZERO TOLERANCE POLICY FOR ALCOHOL, DRUGS OR TOBACCO IN OR AROUND THE VEHICLES. Call our Special Events department at 630-668-9600 ext. 246 for more details. Traveling like a rock star in the back of a luxurious limousine will make Prom and/or Homecoming a day you’ll never forget. Imagine documenting your day on Snapchat, Instagram or Facebook, as you and your friends pull up to the event in your posh limo. Instant “baller” status, legends in your own time. Each stretch limo features leather seats and a multimedia console where you can plug in, and play your favorite music. There are ice buckets and cups for optional soft drink service. Quite simply, you’re going to have the best Prom or Homecoming ever! Call our Special Events department at 630-668-9600 ext. 246 for more details.